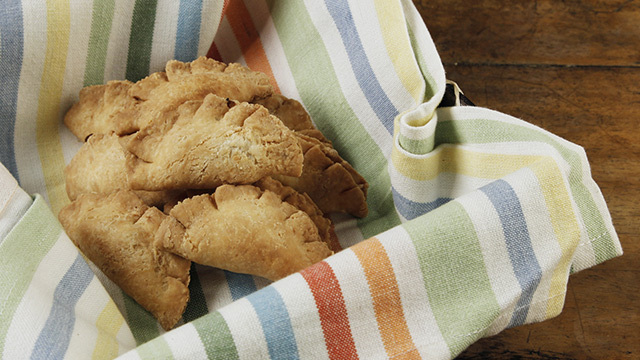 It's easy to make your own tasty version of the empanada at home, especially when you have a dough recipe that's easy to make. The butter adds its flavor into the crust while the egg ensures it all binds together. Use your favorite chicken filling or use a sweet pie filling so you can form this dough into the classic merienda dish.